Hendrica passed away on January 11th, 2019. She was born on July 30th, 1924 to Anna Maria and Cornelis Vollebregt in Zoetermeer, Netherlands. She was fourth oldest in a family of eight children. Hendrica is predeceased by first husband Nick (January 1984), second husband Leo (June 2015), son Freddy (July 1970) and daughter, Margaret (July 2017). She is survived by her loving children, Ann-Marie (Dan) Reimer, Joe (Liz), Cecilia (Rob) Vaile, Tom and son-in-law Gene Beaudoin; cherished grandchildren, Allison (Adam) Haigler, Jayden (Carisa) Beaudoin, Tanis (Jesse) Patenaude, Corina (Shane) Boes, Jarrod (Chelsey) Reimer, Andrea (Justin) VanIterson, Curtis Heemskerk, Dylan (Cassandra) Heemskerk, Brett (Kate) Vaile, Jaryn Vaile and Kirstie (Adam) Williams; great-grandchildren Annalie and Cedar Haigler, Lennon and Ivy Boes with baby due July 2019, Baby Reimer due June 2019, Nicholas, Thomas and Johnny VanIterson, Olivia and Elaina Heemskerk and Eila Williams; sister Annie Van Wieringen; several brothers and sisters-in-law; and several nieces and nephews from Holland, New Zealand and throughout Canada. Hendrica is predeceased by her brothers and sister. A Funeral Service will be held on February 2, 2019 at Springfield Funeral Home, 2020 Springfield Rd, Kelowna at 1:00 pm. Viewing will take place prior to service, beginning at 12 noon. Donations may be made to the Canadian Cancer Society, www.cancer.ca, or the Heart and Stroke Foundation, www.heartandstroke.ca in Rita’s memory. 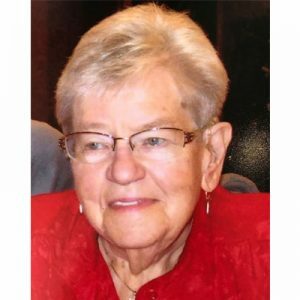 The service for HEEMSKERK, Hendrica Ernestina Maria (“Rita”) is scheduled for Saturday, February 2, 2019 at 1:00 pm. Below you will find the map for the service location and the contact information should you have any questions. Gecondoleer met het overlijden van Rika, jullie (groot)moeder en mijn oudste zus. In gedachten ben ik bij jullie. Ik denk veel terug aan vroeger: de boerderij aan de Zegwaartseweg, haar vertrek naar Canada, en de gastvrijheid toen wij bij haar logeerden. Rest in peace, dear Tante Riek. This is how I remember this lovely lady back in the 1950’s when my parents emigrated from Holland to Kelowna and became good friends with the Heemskerks. Although we may have lost touch, it’s the memories that prevail, and those I hold dear. My thoughts and prayers are with all the family with the loss of this beautiful soul. So very sorry for your loss… Hugs and condolences.